Brock is using Smore newsletters to spread the word online. 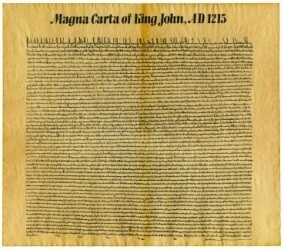 Signed by king john in England during the year 1215. It is a set of 37 English laws. King John was forced to sign this so he had no intention of abiding by it. Barons war was caused from king john not abiding by the Magna Carta, lasted from 1215-1217. 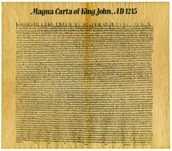 The Magna Carta has like shaped our government. It was like the base because later on we created the bill of rights. The Magna Carta was the beginning, the start of laws, that helped our government.